Do you spend way too much time at Target? Would you buy out the entire store if you could? Are Hunter boots on your wishlist each holiday season? If so, you might want to sit down for this announcement: Target revealed this week that they are collaborating on a limited-edition line with Hunter, and more than 300 items are set to hit shelves. 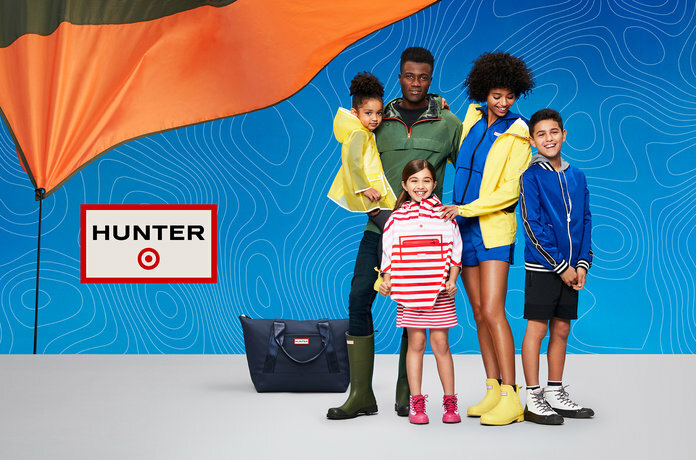 The Hunter brand is most known for it’s bright and fashionable Wellington rain boots, but this collection will include everything from accessories, home products, and outdoor products like hammocks and coolers—along with their signature boots, of course. The best part isn’t even the variety though—it’s that most of the hundreds of items are under $30. “Hunter has long been regarded for its impeccable design aesthetic, rich heritage and playful spirit, and based on our research, it’s a brand our guests know and love. So a pairing between our two brands made perfect sense,” said Mark Tritton, executive vice president and chief merchandising officer at Target in a statement to InStyle. The individual collection items have not been announced yet, but Hunter creative director Alasdhair Willis confirmed that a tall rain boot is included in the collection, though the breadth of the line reaches far beyond that to backpacks, Chelsea boots, pool slides, and packable outerwear. The prices range from $5 to $80 and will be offered in sizes XS to 3X for women, S to XXL for men, and 18M to XL for kids and toddlers. If you’re already ready to line up and plan your next Target trip, you’ve got a bit of time to spare. The collection won’t be released to the public until Saturday, April 14, but if you want an extra edge against other Target and Hunter fans, REDcard holders will get early access to part of the collection online before everyone else on April 7.